Colour me intrigued! 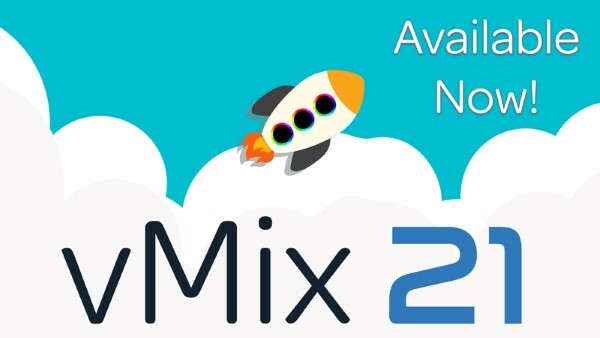 vMix 21 is now officially released. Colour your production with vMix 21! vMix 21 has opened the door for unparalleled professional production workflows with the addition of professional colour correction tools. This version includes real-time 3-way colour correction for live video productions where users can adjust lift, gamma and gain and view any changes through the built-in vectorscope and waveform monitor. Gone are the days of mismatched cameras and video, it can all be done on the fly with vMix 21. “Colour correction was once thought of as a post-production asset but now with vMix 21, users can adjust their picture in real-time!” , says Martin Sinclair, vMix CEO. “Building upon our existing professional toolset, we believe vMix is at the forefront of bringing broadcast quality production at a fraction of the cost”. In recent years the ability to simulcast to multiple destinations has become paramount and vMix 21 addresses this with independent stream control. Not only can you start and stop stream independently but you’re also able to choose different quality settings and aspect ratios. As live streaming becomes more engaging platforms are looking at better ways to deliver their content. vMix 21 gives the ability to stream in 1:1 and 9:16 to social platforms for a tailored delivery to viewers. vMix 21 is available now from www.vmix.com, with a free fully functional 60 day trial.